In the summer of 2014, Bear Naked Granola was determined to help he city of San Francisco chase the sun by adding an alternative to the daily commute. 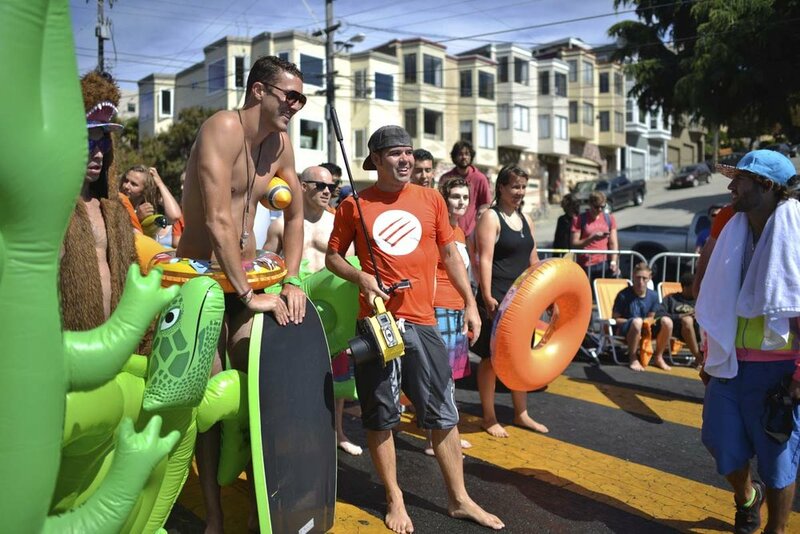 We created a giant urban surfing environment, allowing millennials to beat the heat with a 200 ft slip n’ slide path down on of the steepest streets in town. We partnered up with DevinSuperTramp to document the thrilling event. Initial concept presented to the client.